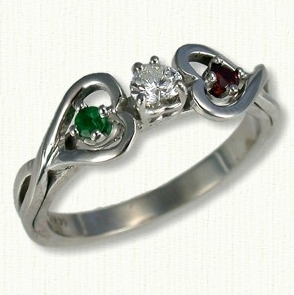 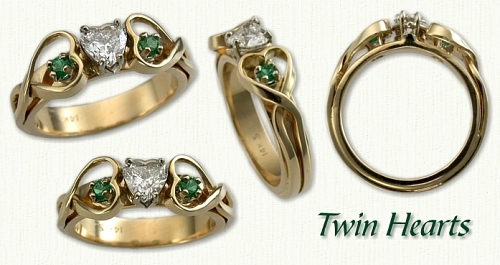 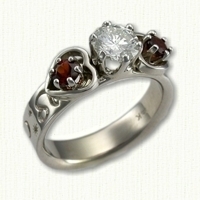 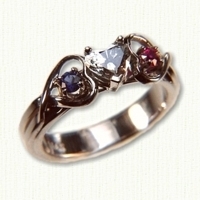 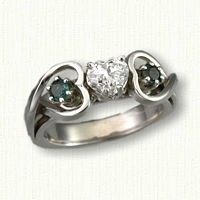 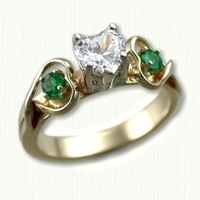 Twin Hearts Celtic Engagement Rings - custom celtic engagement rings w/ gemstones, diamonds @ best prices! 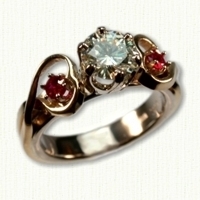 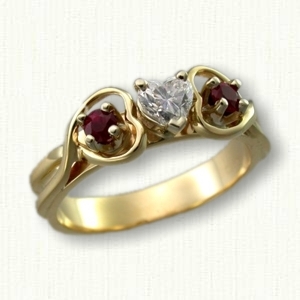 Description:The 'Twin Hearts' is an intricate engagement mounting which holds 3 stones. 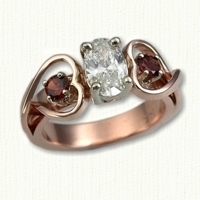 It may be ordered in either a single metal or two tone - 14kt, 18kt and platinum ( pricing ). 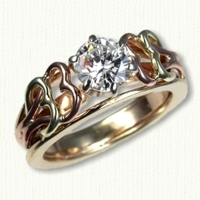 **When ordering two tone please specify shank color and knot work color**. 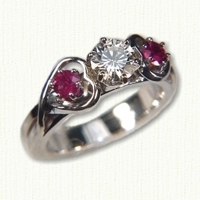 Most any size and shape gemstones may be used. 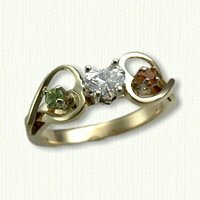 Visit our Available Diamonds and Gemstones page to view photos of in stock stones. 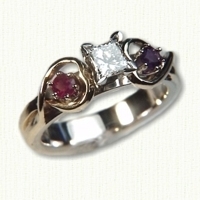 Recommended stone sizes run from .50ct to .90ct. 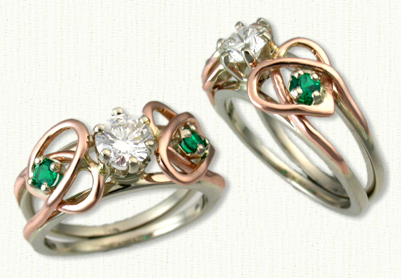 Matching Heart Knot Wedding Bands sold separately.